Marije Baalman is a freelance artist and researcher/developer working in the field of interactive sound art, living in Amsterdam. 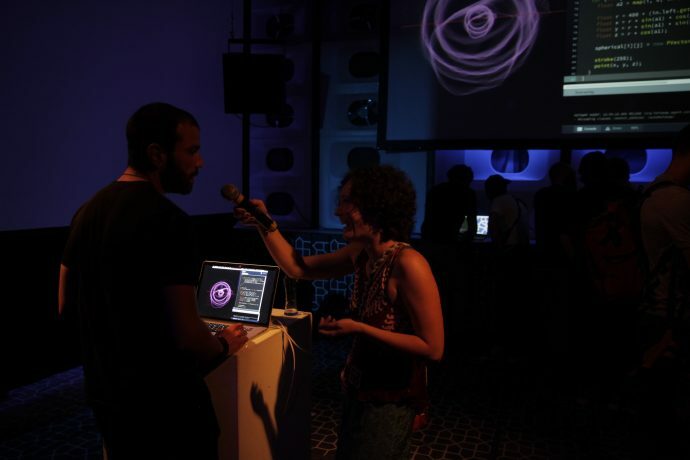 She has a diverse background in Applied Physics, Acoustics, Electronic Music, Computation Arts and Interactive Technologies, and has studied and researched at the TU Delft, TU Berlin, and Concordia University (Montréal), and has worked at STEIM (Amsterdam). She is a member of the Instrument Inventors Initiative (iii) in The Hague. Her research goes into the use of wireless networks for live performance (such as dance and music), installations and interactive environments. Her current focus is on multi­participant interactive environments. She has also been livecoding in rehearsals and performances for many years. Marije Balmaan returns to Algo~Rhythms to present her new piece “Etudes pour le livecoding à une main”. The Yorkshire Programming Ensemble (TYPE) is a collection of humans, Lucy Cheesman, Innocent Granger, Laurie Johnson, and Ryan Kirkbride, that meet IRL and URL and enjoy exploring rhythmic music in a collaborative virtual space and generally making a lot of noise. Netherlands Coding Live (NL_CL) is a pop-up ‘phygital’ (aka hybrid physical & digital) space based in The Netherlands for engaging with Live Coding through practice, experimentation, openness, discussion and performance. Performers Timo Hoogland and Raphael Sousa Santos will open the stage for a live improvisation, together with Sabrina Verhage (Creative Coding Amsterdam) and Carolien Teunisse (Creative Coding Utrecht). The audience is free to join the jam session that follows! Joana Chicau is a Rotterdam-based graphic designer, coder, researcher – with a background in dance. Her transdisciplinary research project interweaves media design and web environments with performance and choreographic practices. 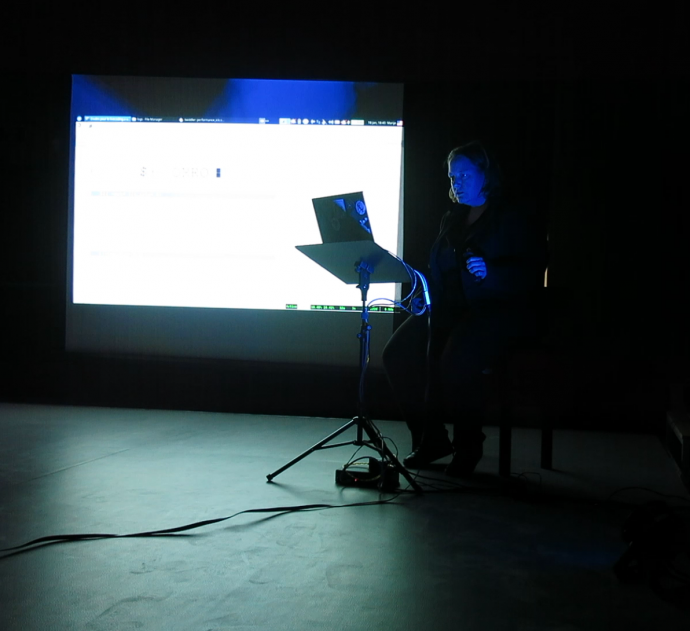 She actively participates and organizes events with performances involving multi-location collaborative algorithmic improvisation, open discussions on gender equality and activism. Joana Chicau will host the event, and facilitate a Q&A between the performers.